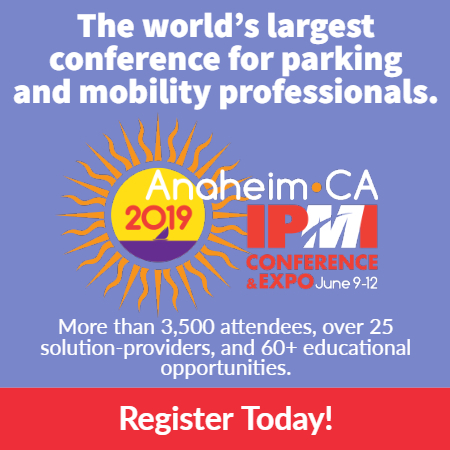 The Nominating Committee of the International Parking & Mobility Institute (IPMI) is pleased to announce the 2019 slate for the IPMI Board of Directors. For the 2019 elections, there are 7 open seats on the Board of Directors for a two-year term beginning June 2019. The role of the Board is to set strategic direction for the organization, provide guidance on industry-specific projects, and offer direction on educational programming, membership, public affairs, allied partnerships, industry research, and the annual IPMI Conference & Expo, among other duties. Each Board member serves as co-chair of one of IPMI’s 18 standing committees. Members in good standing vote for the IPMI Board of Directors; your organization’s primary member will cast the vote for your organization, as detailed in the email received from IPMI. Review the biographies and platforms from the candidates seeking a seat on the IPMI Board of Directors. There are 16 candidates in this year’s election for 7 available seats. Candidates are listed randomly on the ballot; please vote for your top 7 choices. To vote, go to vote.associationvoting.com/ipmiboard/. Enter your email address and your member ID number as provided in the email you received to cast your confidential votes. Once you’ve entered your 7 votes, click the “Preview Ballot Selections” button, then click the “Cast My Ballot” button to record your vote to be tabulated by AssociationVoting. Online voting must be completed no later than 11:59 p.m. EDT, Wednesday, April 17, 2019. If you have any questions, please contact IPMI at 571.699.3011 or miller@parking-mobility.org.